BACOLOD CITY PHILIPPINES | Few months back, I ventured to the Island of Negros, specially Negros Occidental. I also had a chance to explore some of the famous tourist spots in Bacolod City. I’ve been to some places around the Philippines, but never into this part of the country. This was an exciting time for me because most of this trip I was travelling solo. Part of my 10 day adventure was to visit places like Bacolod, Sipalay, Dumaguete, Siquijor and end my trip in Bohol where I attended my cousin’s wedding. To start my solo backpacking adventure in Negros Occidental, I first arrived in the City of Smiles, BACOLOD, where I stayed for 2 nights. But when, my friend/colleague heard about my plans, he came all the way from Cagayan De Oro to tag along with me in Bacolod. It was also a good thing because you get to share the expenses and see more places. Where to stay in Bacolod? 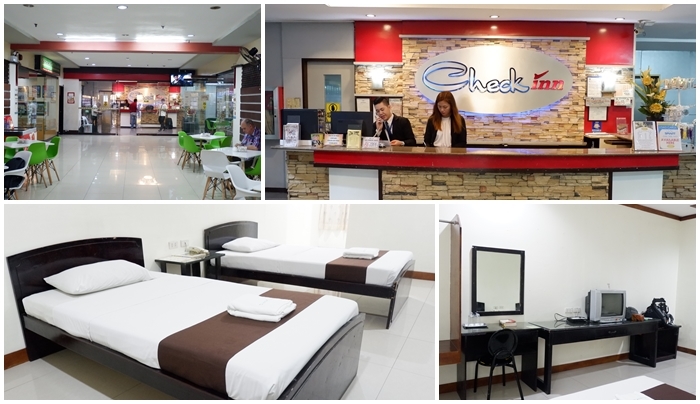 Upon searching for hotels in Bacolod, one that suited my budget and preferred location was CHECK INN Hotel. It’s located right in heart of the city and accessible to nearby places of interest in the area. Breakfast though is not included in the room rates. So with 2 days in Bacolod, we challenged ourselves to visit as many places and eat as much as we could. The moment I arrived, my friend was already waiting for me so we could start exploring. I arrived early morning, went to the hotel, left my bag at the reception and off we went to our first destination. An hour away by bus from the City of Bacolod, in the town of Mambukal, you will find Mambukal Resort which for me is like a nature resort because it was so lush and you felt as though you were in the middle of the forest. If the weather is good, tourists can also explore the 7 waterfalls around Mambukal Resort but since it rained, we were not allowed to for our own safety. From the gate, we walked for about 10 minutes to get to their natural hot spring swimming pools. The entire resort is big and offers a lot of activities to it’s guests which is actually great. A separate entrance fee will be collected from the guests when you take a dip in their hot pools with an average temperature of 38 – 43 degrees. It’s hot! But a lot of people still swim because of the therapeutic properties. We wanted to stay longer, but we had to consider the time that we had. But it was a beautiful resort, it was clean and well maintained and I place I will definitely come back to. Do watch for the giant fruit bats flying around the resort! They are amazingly huge! Pronounced as DYOTAY, this is probably one of the most famous seafood places in the City of Bacolod. So after our Mambukal trip, we were starving and made our way to this place. We tried to walk from Libertad but we realized in the end it was a bit far [lol..] So we took a pedicab which was fun. Alright, when we arrived, we were overwhelmed with the amount of fresh sea food that was ready and waiting to be cooked or grilled. We ordered calamari, buttered prawns, and if there is one grilled food you must try, it’s this Wasay-Wasay! It’s mussels on skewers mixed with different spices and a marinade. They said it’s one of the best sellers in their restaurant. I’ve never tasted anything like it before but this skewer is a sure winner to satisfy your sea food cravings! We forgot about the prices [ Oops!] because we were so enjoying our meal so we just paid whatever our bill was. Some locals believed that the prices are a bit touristy compared to other seafood restaurants in the area, but as a first time visitor and wanting to experience the best of Bacolod, I think it’s worth it! Coming back from a sumptuous seafood dinner, we took a tricycle back to our hotel but on our way I couldn’t get my eyes off this beautifully lit Bacolod City Plaza. This is also considered a favorite hang out place amongst the locals. So when visiting this place, try and come during the evenings when it’s bit cooler and I am sure, you will enjoy the place. IG worthy spot in Bacolod! Right next to SM Bacolod, also a walking distance from our hotel, it was time for us to try the famous Chicken Inasal from AIDA’S! Manokan Country is one of the many restaurants in Bacolod and is like a heaven for Bacolod Chicken Inasal, so many restaurants to choose from, but one of the most reccommended, is Aida’s. Restaurant opens at 9:00 am. We were right in front of their door as they opened. The place is pretty narrow but can definitely fit over a hundred people at one time. The famous Masskara Festival also is depicted in the interiors of the restaurant. I like that festive feel! The chicken inasal was super delicious. It’s difficult to describe but you know when you are enjoying your food a lot and you just go quiet. It was like that! lol… Pair it with a garlic rice which for me was a good combination. I think it’s also mixed with butter, I don’t know but it feels good once it is in your mouth. I may not be a Catholic, but I really appreciate the architecture and the history that lies behind these churches. Built in the 1800s, this Cathedral attracts many devotees and tourists as well. Since the church is very close to our hotel, it was also a nice place to take photos during evenings when the lights are turned on. The touch of gold in every pillar supporting the church and the chandeliers create a very elegant feel to the church. 6. Bacolod Pasalubong and Gift Shop – Araneta St. Located at the old Bacolod City Hall, do not forget to visit this place if you are looking for souvenir items to bring home. They have a variety of products to choose from. A great place to buy fridge magnets and masskara masks too. 7. PROVINCIAL CAPITOL AND LAGOON, Gatuslao St.
Another notable landmark to visit is the Provincial Capitol of Negros Occidental. Built during the American Period, this beautiful building attracts many local and foreign tourists. The building itself is so beautiful and grand specially with those 6 Corinthian pillars in front of the building. Kind of reminding me of the National Museum of Natural History here in Manila. You can also walk around the lagoon as there are benches to relax under the shade of the trees. At night, many locals come here to jog around the lagoon. It was quite scenic and very clean. With the intense heat from the sun, we cooled ourselves down here for a few minutes. It was lovely. By Jeep: Take Mandalagan Jeepney from downtown. In search for good food, many friends of ours told us that we must try the cakes and pastries at Felicia’s. Good thing, a few meters from the Provincial Capitol there is Felicia’s. It was also a hot day, good thing the place is air conditioned and it wasn’t too busy yet because they just opened. Anyway, we started by ordering their best seller cake and they gave us a slice of their chocolate cake. The cake was very moist and you can see that they used a very good chocolate. And on our first bite, we were speechless because it was that delicious! Oh my goodness, I can’t say more, you just have to go to Felicia’s and try it for yourself! After Felicia’s, part of our itinerary was to visit this Silay City which was like an hour away from Bacolod City. Known as the Athens of Negros Islands, your trip here wouldn’t be complete without seeing the heritage houses found right in the city. It was amazing! The moment we arrived, it felt like we were travelling back in time already. Make sure to download a map online of the heritage houses so you won’t miss anything. We arrived just after lunch and we started our walk right away. The town was very quiet and not that big and you can walk around pretty easily. I’m so pleased that they were able to preserve these houses for future generations to see. Another must visit when is the Ruins in Bacolod. Though it’s located in Talisay City, it is only a few minute commute from Bacolod City. Since we were coming from Silay, instead of taking a tricycle, we asked the jeepney driver to drop us off straight from Silay to the Ruins which he agreed [Php 200.00]. Since it was late afternoon, we availed of the consumable entrance fee of Php 300.00. It was a good decision, because the pizza at the restaurant was really good. We sat on the chairs outside and waited for the sunset until they turned the lights on which made the Ruins more dramatic and more picturesque for me. 300.00 – Consumable in their restaurant. Coming from the Ruins, we made our way back to Bacolod to try another favorite delicacy in Bacolod and that is the Cansi. One of the very famous place to try that is at SHARYN’S CANSI HOUSE. We got our order very fast and we were shocked with the amount of Cansi we have on the table. Some say it’s similar to bulalo, some says its not. But when you look at it, its completely different. I love the sour taste coming from a local fruit called Batwan. The beef shank and marrow were so tender. It was a very flavorful dish and whatever spices and other ingredients they put in there, it worked! This is definitely another personal favorite that is now on my list! Php 350.00 per bowl good for 4 pax. Plus they give another mug of the soup. 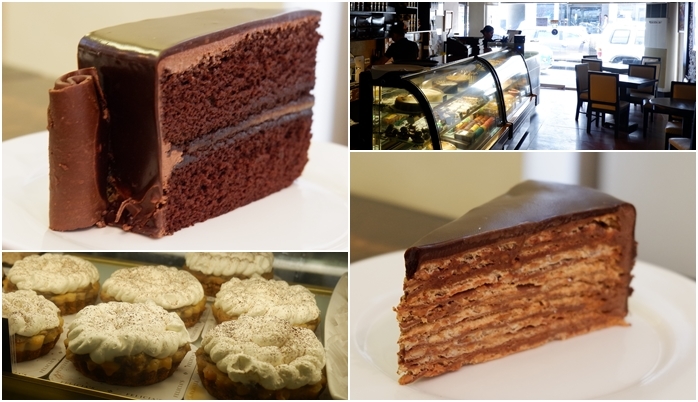 One of the most loved pastry shops in Bacolod, CALEA PASTRIES and COFFEE will always be on top of the list. That is why I told my colleague Joseph Carreon that we shouldn’t leave Bacolod without trying a slice of their cake. It was a busy day touring around and we were so full, but we could always make space for some Calea Cakes. When we arrived, it was so busy and full. It’s always a good indication that it must be really something good. I ordered for a chocolate mocha tiramisu like cake and my friend ordered for a marbled cake. They were delicious! Now which is better Felicias or Calea? It’s difficult to say! Both of them are delicious that is why its best to visit both. Our 2 nights stay in Bacolod were worth it. I would also like to thank all my friends and acquaintances who recommended these places to us. It was amazing how much we had done with the limited time that we had. No time was wasted while we were in Bacolod. The place was so clean, people were so friendly and helpful, and the food here was to die for. Though this was my first time in Bacolod, it’s a place I will definitely come back to. But for the mean time, 3 hours away from Bacolod, the city of Sipalay is waiting for me. So till next time Bacolod and thank you for a wonderful experience! Bongga ang Calea sa mga pastries !